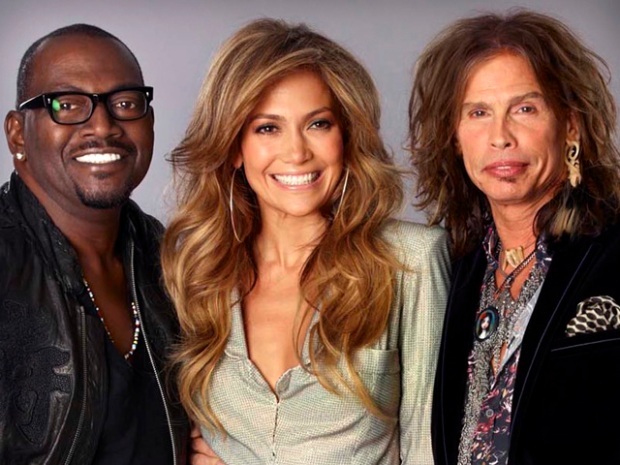 With Cowell and his pal Paula Abdul out of the picture, American Idol reshaped the judges' bench by adding Jennifer Lopez and Steven Tyler, who joined show veteran Randy Jackson this Fall. 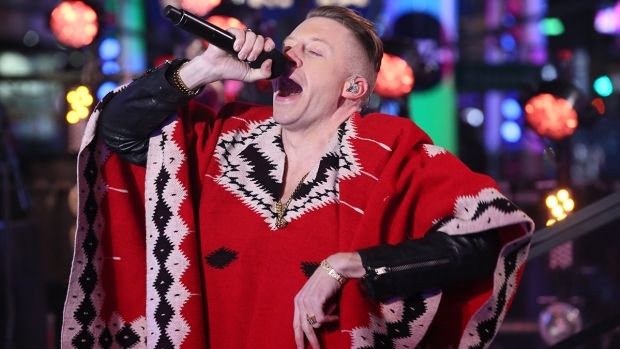 "American Idol" is in transition this season, as the show heads into its 10th year. Last season, it said a tearful goodbye to Simon Cowell and gave a cheery slap on the back and plane ticket home to Ellen DeGeneres and Kara DioGuardi. With Randy Jackson the only holdover, it's up to the new blood to revitalize the flagging Fox ratings juggernaut. Can Steven Tyler and Jennifer Lopez combine with Jackson to form a trio that can rival the glory days of the Randy-Paula-Simon juggernaut and hold off the charge from the increasingly unafraid other networks? Only time will tell, but here are 10 things I hope to see from the new team as it prepares to make its debut in season 10. “American Idol” was indisputably stale in 2010, which isn’t surprising given that everyone seemed to be running on autopilot. It was easy to predict what each of the judges would say because we had seen it so many times before. "Idol" became a paint-by-number show, particularly on results night when the same old group sing was followed by the same old product-placement videos followed by the same old banter. Forget about the audience for a second ... even the judges looked like they were falling asleep. Bringing in new blood should help make the show less predictable, which can only help it regain its former momentum. At the very least, we'll hear a lot less about singers with "chops," or comparisons between singers and bananas, or similes likening poor singers to whatever random soda-induced hallucination was going through Simon's mind on any given day, now that we have a new crew. If you’re a singer who lasts a long time on “Idol” and you want to be a good student who follows the judges' advice, all that has gotten you in the past is a headache. It seems like every week, the singers received contrary instructions. “Do a little more of this” one week, “do a little less of that” another. It’s enough to give a less confident singer a crisis of confidence, which has helped doom many a promising hopeful to an early exit. This is where music producer Jimmy Iovine should have an impact. He’s the permanent in-house mentor, and with his experience, he should be able to guide the singers toward their musical careers. If nothing else, it will help to have the same voice talking to them every week, rather than hearing the mixed bag of soundbites offered by the guest mentors of the past. Please, for the love of all things sacred, no more cougar jokes like the ones last year between Kara DioGuardi and Casey James. Being a judge is a delicate balance of action and inaction. Unless you’re Simon, people are tuning in to see their favorite singers first and you second. And yet, ultimately, what the judges say is what people remember, since the singers all tend to blend together in the early rounds. A good rule of thumb is to talk over the bad performances, not the good ones. Go ahead and cut on the singers who do poorly, since we’re doing that ourselves on Twitter anyway, but let the great performances speak for themselves. Also, take heed of what was taught in preschool — don't talk if you don't have anything to say. Or at least, don't belabor the commentary. Better to say a sentence or two and move on than to drone on for 10 minutes and make everyone wonder if you somehow got a hold of Paula's old Coca-Cola cup. Ryan Seacrest is a very good host, but he has one primary fault. Like a good party host, when he sees a lull in the conversation and senses the audience's attention wandering, he jumps in with something to kick-start things and add some energy. In this case, that throws off the balance of the show, as Ryan is much better as a supporting actor than in the lead role. So when Ryan inserts himself into the process, that's the time to say something to cut him down or to change the subject, and get him back to being the narrator and not the story. If someone is terrible, it’s OK to tell them they’re terrible. And the faster, the better. Be mean or don't be mean, but don't belabor the obvious. Get them off the TV screen, ASAP. This isn't a Senate confirmation hearing or a UN debate. It's supposed to be a fun little entertainment program that makes the audience forget about the troubles of their workday for an hour or two every night. Smile, laugh, joke around. Make it seem like it's fun to be there. There were plenty of times last season when Ellen looked as if she'd come from a root canal and Simon as if he were there only because his lawyers told him he had to be. Don't be like that. It often seems like the judges script their one-liners beforehand, as if they tasked high-school students to help them with a “Write Similes About Bad Singing” contest. It's natural to plan ahead, but it’s also lazy and makes the show seem less fresh. And in some cases, preordained, like a few seasons ago when Paula criticized a song that Jason Castro hadn’t even sung yet. The performance shows may not be the first time the judges are seeing the contestants, since they get to listen to the rehearsals, but they are the first time the audience is hearing these songs. The judges words shouldn’t sound like they were written in advance, but should be focused on the music that the crowd is hearing now. What made Simon Cowell a legend among reality TV judges isn’t his expertise, since there are plenty of folks with similar skills as a judge of talent. It’s that he seemed to be 100 percent confident in everything he said. If it’s snowing outside and Simon says it’s a great day to go to the beach, he says so in a way that implies that you are the biggest idiot in the history of humanity if you don’t show up to the studio with your bathing suit and suntan lotion. That’s what made him so easy to love or hate, and it's what made him a must-watch TV star. All of the show's other judges have hedged their bets, offering some sort of way out for a bad performance. Don’t do that, new judges. Stand by your convictions. The big test for the new crew will be how quickly they gel as a unit. The good news is that the bar they have to reach is very low. Last year’s group often looked like they had met for the first time in the green room before the show. The interplay among them sounded forced and unconvincing, and everyone was more worried about their own sound bites than anything else. It all sounded disconnected, like four individuals and not a team. On the other hand, the original Randy-Paula-Simon trio had a much more free and easy banter. Paula would say something wacky, Simon would call her mean names, Randy would jump in ... it was like watching a family bickering over the Thanksgiving table where you know exactly how the argument's going to go but still want to watch it play out. The new team can’t replicate Simon’s barbs, but if they can work well together it won’t matter. The more they act like they're actually listening to what their companions are saying and play off of each other's comments, the better the show will be. Craig Berman is a writer in Washington. Follow him on Twitter at twitter.com/craigberman .